Sets the point where the stripLine has to be plotted or drawn along the axis X. How can i put more values? Now i want to put some tags inside the chart, someone help? 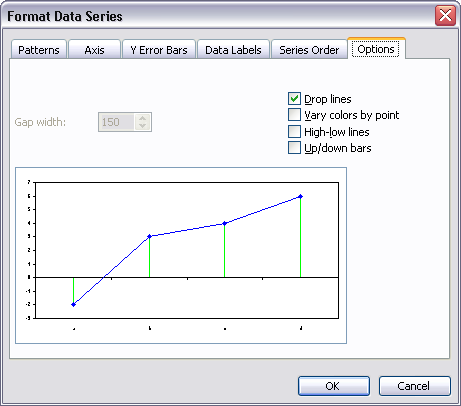 Here is an example to show stripline-label inside chart. We released v1.8.1 Beta with labelPlacement feature which will allow you to do the same using the api directly. Is there a possible way of changing the strip height so that it only reaches the data point? Its not possible to set height for stripLine. But you can use one extra dataSeries of column type with dataPointWidth set to 1 to achieve this. Here is an example. 1 step closer to solving my problems. Making 2 charts was my first solution, but I’ve been stuck and looking for alternatives.